The Sun moves into the fiery, passionate sign of Leo today. Tomorrow Mercury will form a conjunction with the Sun and Jupiter that amplifies the Leo energies of courage, creativity, leadership and bravado! Stay grounded in realism to offset any egoic Leo power plays! On Saturday, July 25th Venus starts to retrograde in Virgo, transiting back to Leo till turning direct on September 6th. Aggressive Mars in Cancer may clash with revolutionary Uranus in Aries this weekend, accentuating reactionary outbursts. Mars in Cancer makes everyone super sensitive while Uranus in Aries ignites impulsive emotions…keep it cool, breathe it out! With Pluto in the spotlight right now, we may experience more power struggles as the old system loses its footing. We will see more signs of economic collapse (Greece, Eurozone, China) and severe climate changes (rising sea level, extreme heat) in the days, weeks to come. Many Spiritual Channelers are predicting a major global reset of the economic system in September and October. Stay tuned inward to your Higher Self guidance during this time. The annual 8:8 Lion’s Gate occurs on August 8th and is the time of year when our planet aligns with Star Sirius and the Galactic Center, creating a harmonious portal that unites “matter and antimatter”. Leo signifies the personal individuation of our Divinity, as the dormant Soul DNA awakens and activates in our human energy field. This year is a rare triple 8 Lion’s Gate Activation (add 2015 = 8). During this event a stargate is fully open streaming intense Light waves from the Great Central Sun, through our Sun, The Star Sirius, the Earth Grid Point of the Sphinx and The Great Pyramid of Giza. When the Sun is conjunct Star Sirius it creates a Solar Stargate that pours Solar Star Codes for mastery and ascension directly from Sirius. 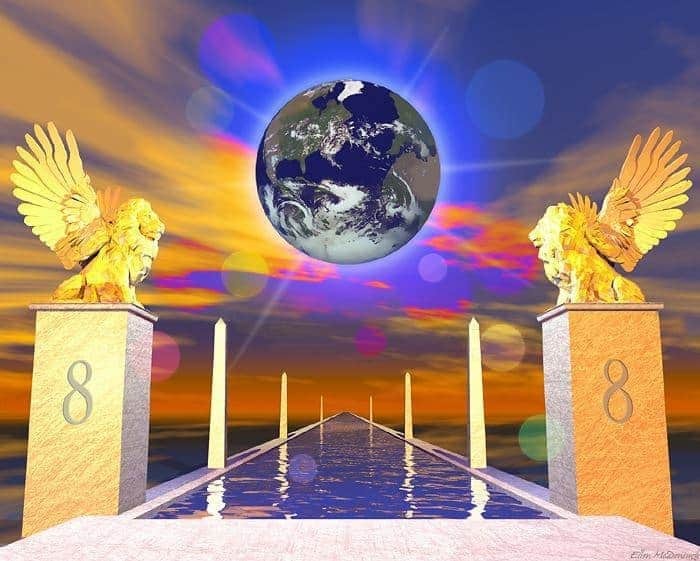 This rare 8-8-8 Lion’s Gate portal is a pivotal Cosmic Ascension event, as humanity and Gaia are thrust threw the Lion’s Gate portal into the higher realms. Every being on the planet will be offered the choice to align with the original, divine Law of One. During the Lion’s Gate Activation, the 8-8-8 “wave” contains the new Light Codes of the Cosmic Ascension for the next year/cycle. 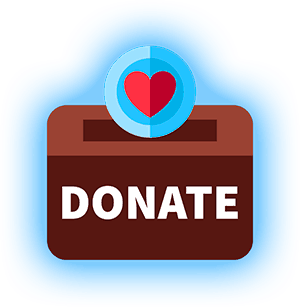 It is vitally important to open to fully receive these codes, to light up your DNA, to support you to make another quantum shift, furthering your personal growth! Numerologically – the triple 8 infinity energy represents: As Above, So Below and Within! Infinity Figure-8 symbolizes union, integration, abundance and balancing polarity. “The Star system of Sirius has always worked closely with the Evolution of the Earth, assisting where possible. The Sirians assisted in the establishment of the Ancient Egyptian civilization after the Atlantis trauma had destroyed all previous civilizations. The Egyptian civilization carried the “Star Wisdom” and “Creation History” of the Elohim, which was transmitted to the Earth by the Sirian Wisdom Keepers. In Ancient Egypt the Sirians were the Mediators between the Galactic Council at the Central Sun and the people of Earth. Each year, between the 26th of July and the 12th of August, a new wave of Galactic Light from the Central Sun would be directed towards Earth and magnified by the Sun in conjunction with the Rising of Sirius in the North. The Sirians would accept this energy into the Pyramid complex at Giza and then transmit the Codes into the Earth Grids, allowing for a peaceful and fluid transmission of the Energies. After the Giza Stargate was closed, the Earth transmissions were still mediated via Sirius, but they were not received coherently by the Earth, and so the Earth’s evolution was slowed and even distorted for a while. The Triple 8 Lion’s Gate opens the Infinity portal that propels you past all previous limitations. It is the symbol of expanding beyond your normal boundaries. It is pure spiritual atomic energy, a pure power source streaming onto Gaia. It is about connecting to and owning your divine purpose, then stepping more fully into the life you destined yourself to live. Pay attention…the 8-8-8 Lion’s Gate portal is the most powerful Ascension event of 2015! We are in the process of transfiguring our physical cells from carbon density into crystalline Light receptors. Take some time this summer and immerse yourself in the vibrant field of Nature. Open the space surrounding your atoms and fill with Light! When we expand and blend in harmony with the Field of Order in nature, the atoms in our body begin to rearrange themselves into order. We are self-correcting the atomic structure from chaos and duality, to reform in perfect order. Imprinted in every cell of your body exists a record of your entire history on Earth. All past and potential future outcomes are encoded in the DNA, dormant and waiting for your attention. Tune into your genes and the essence of your Soul to discover the truth of your Being. This week’s astrology provides the perfect setting to ask the elements of fire, earth, air and water alive in your body to reveal your Soul’s destiny plan. In just a few weeks time you have the rare opportunity to pass through the 8-8-8 Lion’s Gate…stay focused on your Ascension. PS: Mark your calendars…we will be broadcasting two Global Meditations – July 25th and August 8th! Copyright (c) 2015 Meg Benedicte * All Rights Reserved * You may copy and distribute this material as long as you do not alter it in any way, the content remains complete and you include this copyright notice.